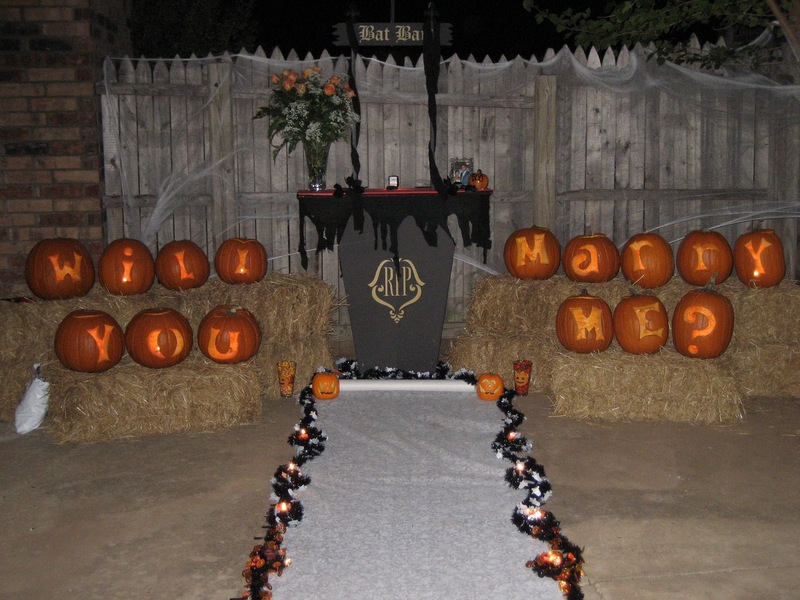 In October 2006 Matt proposed to me in our backyard with a Halloween Proposal! It was the Monday night before the NBA season started and my only night off that week and Matt suggested we head to our favorite place in Okc, Flips Wine Bar. I thought why? On a Monday? Thats weird. But ok! After we got home I went upstairs while Matt took Oscar outside when he called me outside to see this………. It looked so much better in person, each pumpkin was lit up inside and my ring was on that Bat Bar. In fact that Bat Bar is still with us today, it’s in our basement! Matt even had a witches cauldron for our champagne. And I also have that bottle still today as well as the spiderweb champagne flutes! I said YES and this will always go down as one of the best things Matt has ever done for me! We took a year engagement to plan, relax and for me to finish up my NBA season. Below are some of our engagement pictures and you guys, we were matching polos!!!!!!!!! It’s cute but man o man do times change! This picture cracks me up…. This picture I still love today and this is what we used for our Save the Dates and everything! 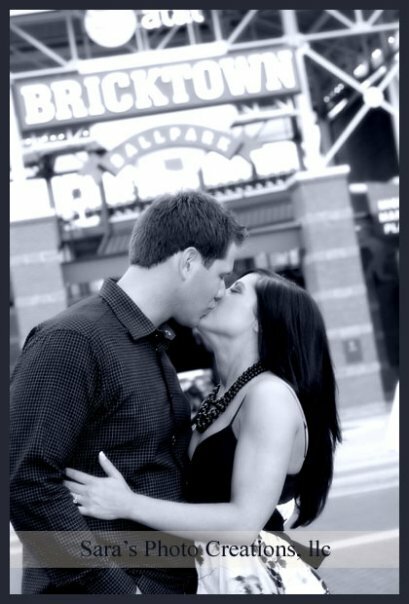 This picture is great because we are in front of the Oklahoma City minor league baseball stadium and clearly baseball has and had a big part in our lives and well as our love for Okc.